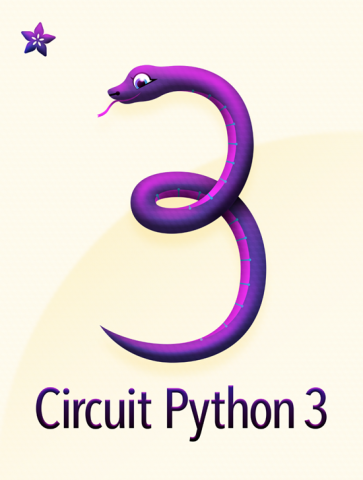 CircuitPython 3.0.0 Released! — @adafruit @CircuitPython « Adafruit Industries – Makers, hackers, artists, designers and engineers! Download the 3.0.0 release from https://github.com/adafruit/circuitpython/releases/tag/3.0.0. We believe this release is stable and relatively bug free. So, please try this before trying 2.x. If you find issues please file an issue. Update frozen crickit library. Thanks @dhalbert. Fix pull setting for DigitalInOut. Thanks @cater, @kattni, @dhalbert. Support for SAMD51 based M4 boards from Adafruit. Thanks @tannewt, @dhalbert, @siddaciousand all the M4 testers. @boneskull, @Sigafoos, @brentru, @caternuson, @process1183, @Andon-A, @asherlie, adamwolf, dastels, @hukuzatuna, @KurticusMaximus, nis, BravoDelta, aj_nys, @wolf, @vesperk38, @jepler, @notro, CGrover, @larsks, @WestfW, @rhooper, @khawley, @godlygeek, @bildzeitung, @matt-land, @wickedchicken, @margaret, sdw_nj, @ntoll, @SConaway, @dglaude, @nickzoic, MikeBarela, Josh, Les, @cefn, papahabla, hotcarrier, Bill_R, and from PyCon sprints: Dylan W, Anders, David, Dylan H, Adam, John, Chris, Lady Red, Craig, Aaron, John, Boris, Drew and Kathryn and surely more we have missed. Join us on the Discord chat to collaborate. This release is based on MicroPython 1.9.3. Support upstream MicroPython by purchasing a PyBoard(from Adafruit here).